Special rubber ring for these KEF 130 units. 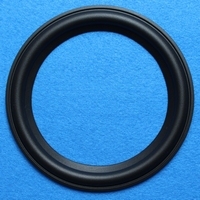 Rubber ring for KEF B110 woofers. 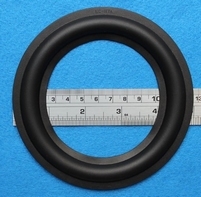 Special rubber ring for KEF B110 units - a.o. used in Rogers LS3/5A. Special rubber ring for these KEF Cresta mk1 (1968) units. Rubber ring for KEF IQ-/ Uni-Q series woofers. Special rubber ring for these KEF Reference 101 units. Special rubber ring for these KEF SP1003 units. Special rubber ring for these KEF SP1057 units. Special rubber ring for these KEF SP1209 units. Special rubber ring for these KEF SP1228 units.